Here is a list of 4 of my favorite camping shirts that have to do with drinking. Sure to make any camper/drinker smile. Have you seen the weather? 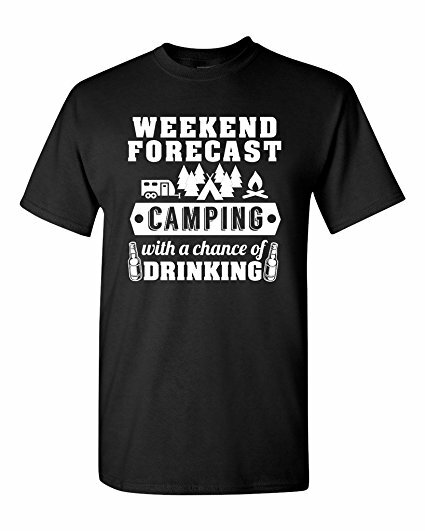 Weekend Forecast: Camping with a chance of drinking! We all know that person that loves to camp, relax and of course, enjoys a couple drinks. What better gift than a t-shirt that is not only stylish but funny as well. Get yours now to get ready for camping season. 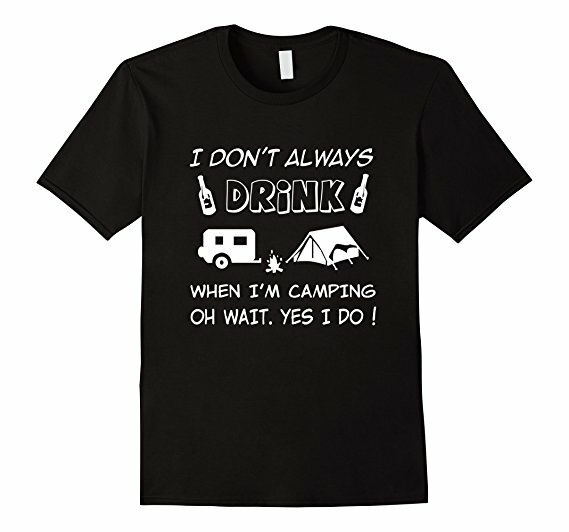 This camping t-shirt says “I don’t always drink when camping, Oh wait, yes I do! created for that special someone in your life. I mean what is camping without drinking? It’s hard to not agree with everything on this shirt. This camping t-shirt reads “Life is better with a beer and a campfire”. Yes, I agree! This shirt is probably my favorite. 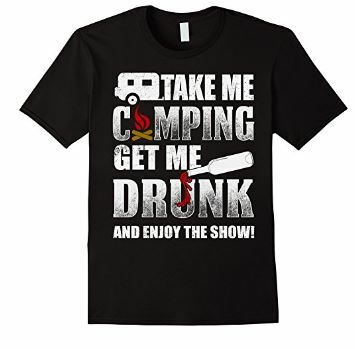 It reads “Take me camping, get me drunk and watch the show”! We all know someone like this, it just happens to be me in my group of friends!